Apache is the most common web server used now a days, you would have already configured apache many times by now but what about configuring it with SSL i.e. using apache to service on the https protocol, i assume you have already configured the basic apache server and have also enabled the SSL module, if not refer to my previous post on Configuring Apache Web server. लिये http://drupal.org/project/hi पर उप्लब्ध है ! 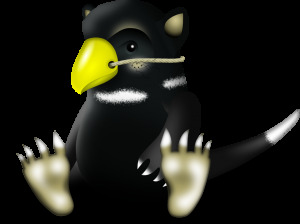 Tux the Linux mascot will take a break for a while with the release of Kernel 2.6.29 Tuz would be replacing Tux. Tuz is a Tasmanian Devil, which is a species in danger of becoming extinct. The Tasmanian Devil is native to Australia and during this year's Linux.Conf.Au conference it was decided that Tuz will stand in for Tux for one kernel release in order to raise awareness for this creature. Tux will return with the release of the Linux 2.6.30 kernel :). Whats in your MBR ?? Read more about Whats in your MBR ?? UPDATE: This post is quite old now and wont work with the latest version of WYSIWYG API, will try to update this soon. Gallery2 is one of the best galleries available which could be integrated with Drupal easily you would have read my post on integrating it earlier, after you have integrated it the bigger question is how get those images into your content or nodes so this posts answers it, after reading this post you would be able to integrate Gallery2 with your WYSIWYG (TinyMCE) Editor. A disk quota is a limit set by a system administrator that restricts certain aspects of file system usage on modern operating systems. "Wikipedia"